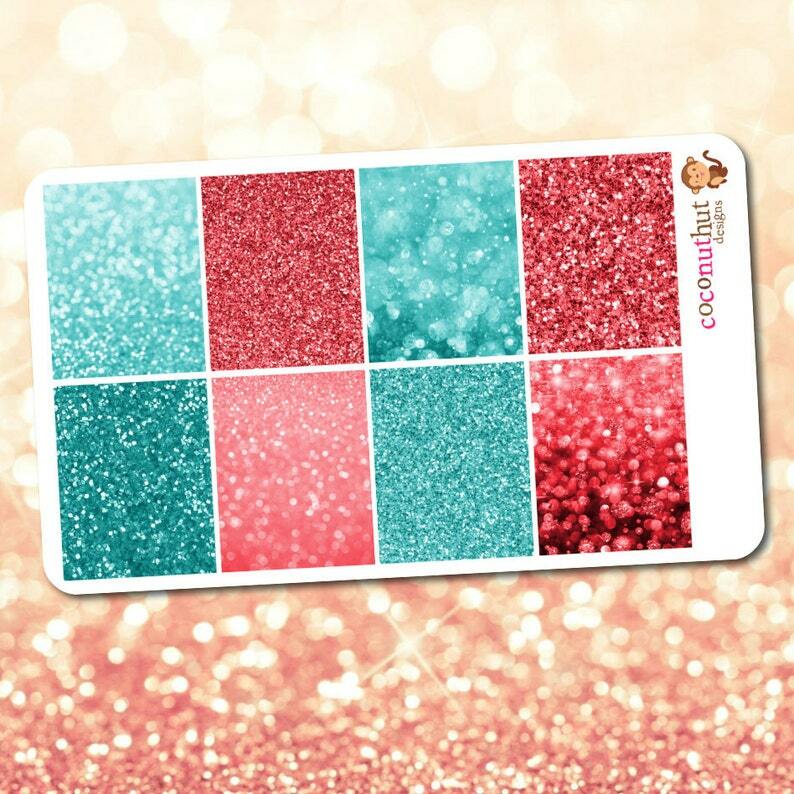 Add sparkle to your planner with these summery coral pink and teal blue glitter and bokeh full box stickers. Perfect for your Spring and Summer layouts! Sticker sheet measures 4.25 x 7 inches. Each decorative box measures 1.5 x 1.9 inches. These stickers were originally designed to match the June 2016 monthly colors in the vertical Erin Condren LifePlanner, but the vibrant colors can be used year-round in the latest LifePlanners for any layout! :) They can fit in most other planners as well, and you can also use them in your scrapbooks, journals, calendars and creative projects. Choose from a removable matte or permanent glossy finish (choose from drop-down box when ordering). Stickers are printed on high-quality sticker paper and are not made from glitter paper. Please note that stickers printed on permanent glossy paper tend to have more vibrant and saturated colors than stickers printed on removable matte paper. The photo above is a digital image of the sticker sheet. I try to show the colors as they are, however, everyone's computer monitors are different, and the actual sticker colors may look slightly different in person than what you see on your screen.